A home inspection is a visual examination process that is meant to identify any and all damages and potential issues a home may have. By hiring an experienced San Diego home inspector, buyers make sure that they have a highly trained expert on their side who can aid them in reaching the best buying decision. A quality home inspection service in California also gives sellers an opportunity to deal with any problems before potential buyers even look at the property. This ensures a higher asking price and easier negotiations. 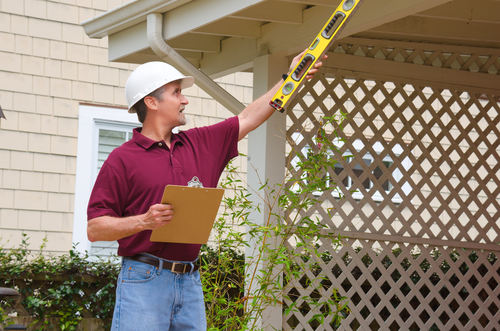 A home inspection takes time both before and during the inspection day. Making the effort to correctly prepare for it will make the entire process a lot less stressful. It will also help you avoid common home inspection pitfalls that can cause needless and expensive complications later on. Selling or buying a home is a serious investment that is going to affect you for many years to come, so it’s a good idea to arm yourself with as much information as possible. 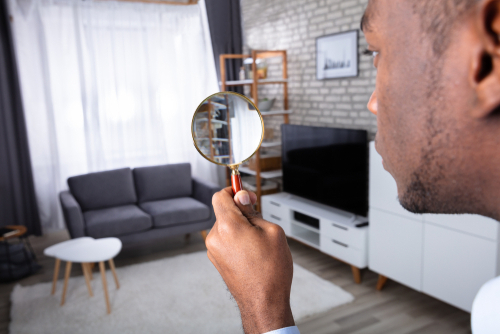 Read on to learn more about the details of the home inspection process and how a reliable home inspection can greatly simplify your life. It’s impossible to put a one-size-fits-all price tag on home inspections due to the fact that no two home inspections are exactly the same. Each house is affected differently by things like moisture, land type, previous owner’s habits, etc., and these in turn differ based on the area the home is located in. This makes every home inspection unique in its own way. The main thing to consider is the size of the property being inspected. It goes without saying that examining a studio apartment generally costs less than doing the same for a single family home. Multi-unit properties or large estates command the highest price and require the most thorough inspections. Some clients are only interested in mold testing, which has its own separate price range. A home inspection is always paid for by the party that hired the home inspector. For example, if the seller hired the inspector, the seller pays. That being said, the majority of inspectors are hired by buyers who want to have an expert consultant at their side during the buying process. Aside from a few safety-related regulations, there is no law in San Diego that requires extensive pre-sale repairs. Yet just as sellers aren’t compelled to mend holes in the floor or replace broken faucets, the buyers are also not under any obligation to actually buy the home in question. Sellers are advised to have the property examined by a professional inspector before making a sale listing. This way, they can deal with any major defects before potential buyers even see the property. Do you need to be present at the inspection? In theory, personally attending your home inspection isn’t required and your interests can be represented by your agent. In practice, being there for the inspection gives you a crucial opportunity to ask vital questions and get repair cost estimates on the spot. Certain types of repairs can cost a fortune, and be even more expensive than the home itself. This is especially true of serious plumbing or foundation defects. Knowing about them right away can greatly affect your buying decision, or your asking price if you’re selling. It’s important to note that home inspections can take a long time, especially if the property being inspected is a large one. Devote at least half a day to the inspection. Do not rush the process, as that is a great way to miss critical issues that can cause considerable monetary losses and other complications at a later date. 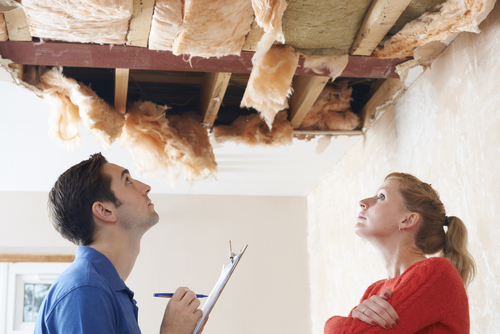 Who pays for repairs after home inspection? There are no set rules when it comes to who pays for repairs or even if they get done at all. Certain repairs are negotiable with the seller, while the buyer will have to take care of others as the eventual homeowner. The home inspector will identify what requires repairs and supply a cost estimate. This helps the buyer and any other people at the home inspection, such as the buyer’s spouse, reach a more informed buying decision. Still, there are certain safety concerns that need to be taken care of by the seller before a home can be lawfully sold to a buyer. Exactly what types of damage are covered in this way depends on local state laws and regulations. California State Law uses a list of disclosures required of a seller and/or real estate broker/agent to fully inform the buyer of any significant issues a home may have. Who organizes repairs after a home inspection? The seller and the buyer will often come to an agreement that certain repairs need to be done. In this case, sellers are advised to cover the estimated costs of any necessary repairs, but not to conduct them themselves. This avoids delays or extra repairs that are needed due to the buyer being dissatisfied with the quality of the first round of repairs done by the seller. 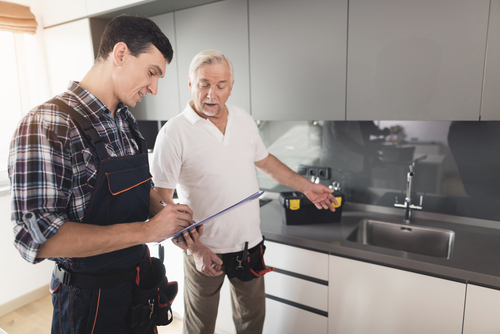 By letting the buyer choose the repair contractor and organize the repairs, the seller ensures that the buyer will receive exactly the repairs they want. Have you found a beautiful home near the San Diego Museum of Art that seems perfect for you and your family? Or perhaps you’re the owner of this home and you’re looking to maximize your asking price? 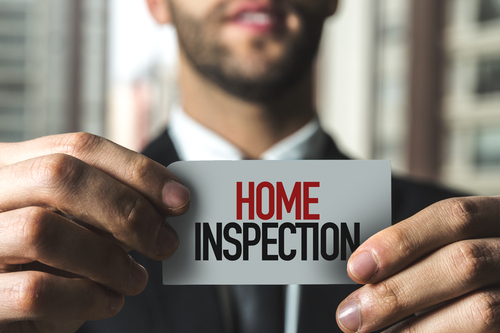 Here at Inspectors Company Inc., we provide dependable home inspection services that can aid you in getting the most out of your home purchase or sale. Our personnel are all InterNACHI certified and equipped with first-rate home inspection tools and software. We make it our mission to thoroughly inform each client about the details of the property they’re thinking of buying or selling. If you need further information or you have any additional questions about our service, feel free to get in touch with us today.